Finally got a decent picture of my Harlequin Shrimp. (I've got two, but they're not a mated pair, so they're never together). They are awesome looking things. I've pulled a couple of stars out this week, one was pure white and having a munch on my large zoa head, and the other was mottled and tried to eat my rasta. Lil bastards. Yeah, they started out not being a problem, but they've proliferated to the point now where my Zoas are struggling to cope, and looking worse for wear. I've manually removed the zoa rocks that I can (as lots of just on the rock structure, rather than on individual rocks I could remove) and dipped them in iodine and manually removed all the Asterinas with forceps, but it's not a long term solution obviously. I'm just hoping the two Harlequin shrimp are eating them quicker than they're multiplying. Mine are reaching that point, there must be over 100, but I'm checking the zoas and there aren't any in there. The Harlequin shrimp are eating the Asterinas regularly, but today for some reason, maybe as the SSSF resurfaced to relocate elsewhere, the Harley jumped on it and quickly killed it. I thought they'd just have a nibble, but it turns out, they use their blade-like edges of their arms to quickly kill the starfish to immobilise it, so it can eat it without the starfish submerging or wondering off. My mrs noticed the Harley shrimp was on the Sand sifter, and had only been for a couple of minutes, and she got the long tongues and lifted the starfish out into the sump, when I got back 10 minutes later, I had a look and it was already limp feeling, and had a deep gash in it's central disc. I put it on it's back in the sump to see if it's still alive (as starfish always right themselves when upside down), it turned the ends of it's arms up a little, but very slowly, then dead. Actually, it's not dead yet. I checked it and it's little clear legs are still moving. It's in the sump in peace so fingers crossed but I don't think it'll survive. Have you seen the stripped harley shrimp? Supposed to be less dependant on eating the large star fish soft feet, it'll eat the asternias and move on to foraging if they all go. What are they called? 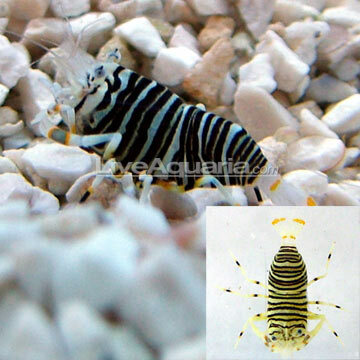 Striped harlequin shrimp? Ah right I've seen those yeah, I didn't know they eat starfish though.